The port of Dublin is the busiest port in Ireland. Located at the mouth of the River Liffey at Dublin Bay, the port is primarily an industrial facility dominated by containers and cranes. However, 85 cruise ships also called in Dublin in 2010. 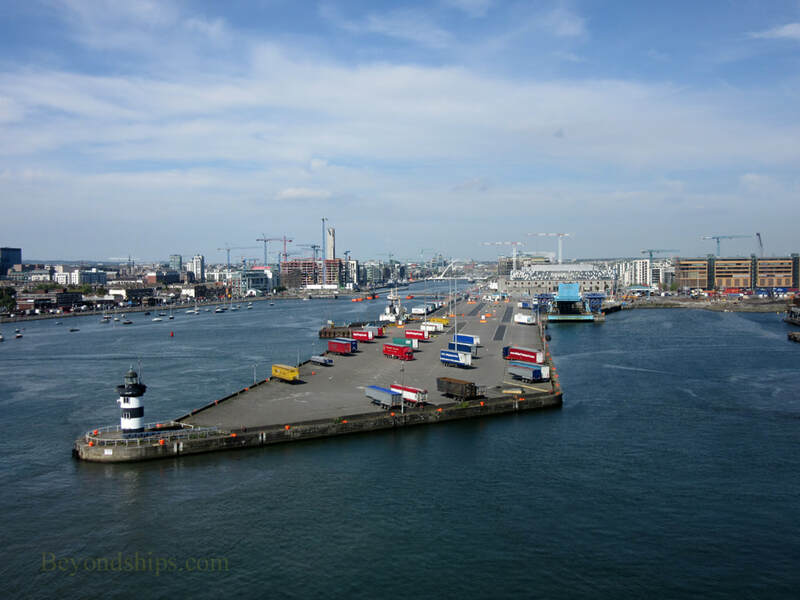 Cruise ships dock in two places. Large cruise ships dock at the Alexandra Quay. Smaller cruise ships can dock along the River Liffey at the North Wall Quay Extension near the East Link Bridge. As of this writing (2013), both of these places are cargo facilities that are also used on occasion by cruise ships. The port plans to build a $40 million cruise terminal, capable of handling two large cruise ships, which would open in 2015. 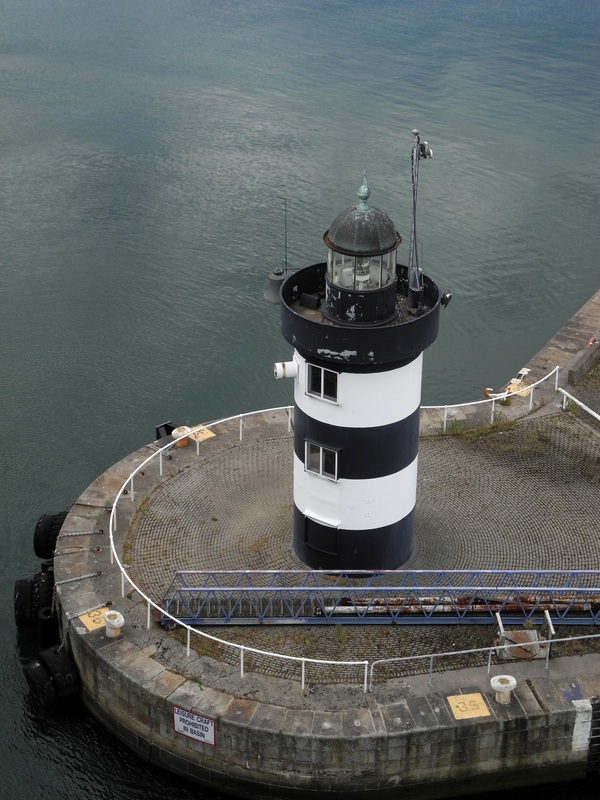 The port is not far from the city center - - about two miles. While it is possible to walk along the River Liffey to the city center from the North Wall Quay Extension, the traffic on the roads around Alexandra Quay is quite heavy making it very dangerous to walk. However, the port authorities usually offer (for a fee) a shuttle bus into the city center (Kildare Street). 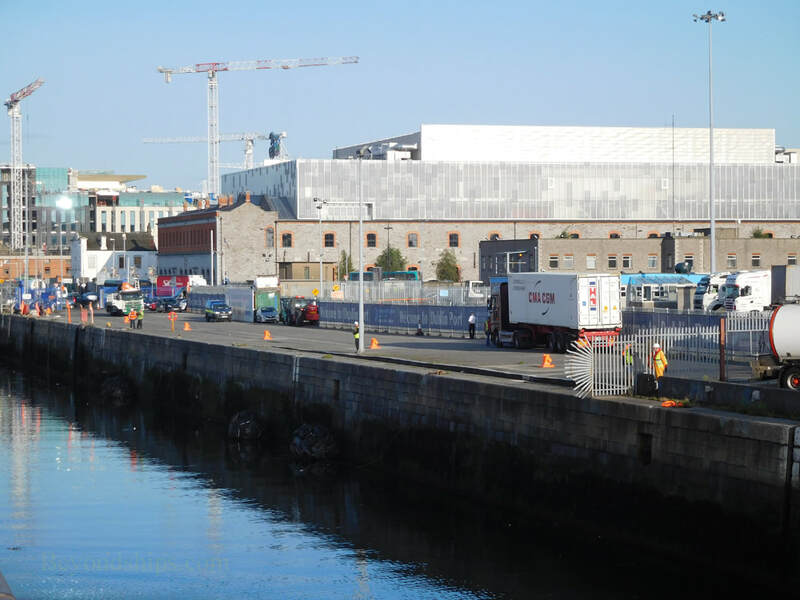 The area along the River Liffey immediately outside of the port has seen extensive revitalization and now contains a number of modern buildings and attractions including the Convention Center, The O2 amphitheater, the unusual Samuel Beckett Bridge and the Jenny Johnston sailing ship museum. Above: The North Wall Quay Extension along the River Liffey. 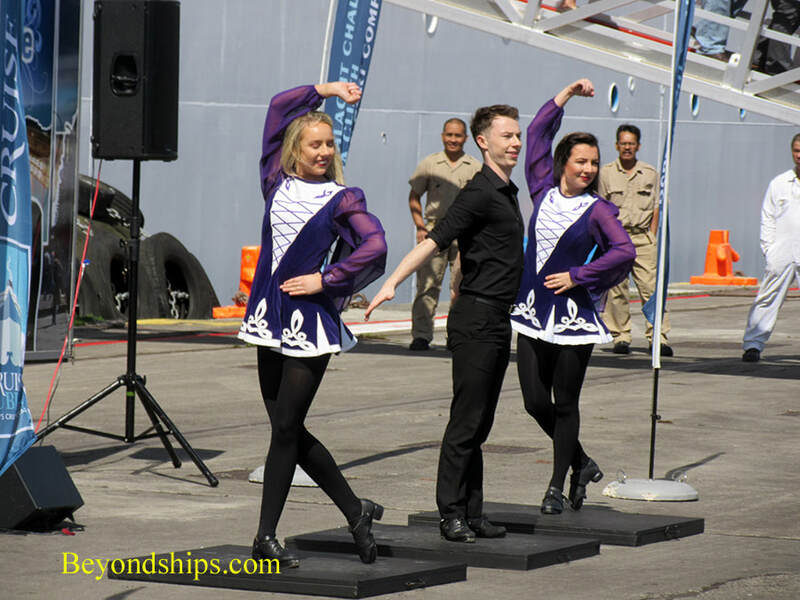 Left: Irish dancers welcome a cruise ship to Dublin.